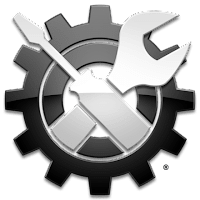 System Mechanic 2019 18.6.0.141 is powerful, all in one PC tune-up suite designed to boost your computer's speed, power, and stability, which developed by iolo technologies. It offers exclusive patented technology tools and over 50 automatic tools to clean hard drive clutter, repair your registry, defragment drives and memory, and optimize system and internet settings. System Mechanic is an award-winning solution that is used by more than 85 million consumers worldwide to keep more than 150 million computers running at peak performance. The program get all your home PCs running like new again. It will automatically increases the speed and availability of CPU, RAM and hard drive resources; It will find and fixe over 30,000 different problems using intelligent live updates; It's able to identify unwanted startup programs ; It removes over 50 types of hidden junk files to free up valuable disk space. System Mechanic is offered in three editions: Free, Pro and Business. In addition to the Free edition, System Mechanic Professional also includes DriveScrubber, Search and Recover, System Shield and Online Backup. System Mechanic Business is a version of iolo’s flagship System Mechanic software that is specifically geared for small- and medium-sized businesses with volume-pricing and network friendly options. Reedem special System Mechanic deal valid at IOLO store! # System Mechanic is more suited to an experienced user rather than a novice. Disclaimer: Direct downloads for the lastest version of System Mechanic 18.6.0.141 are provided by the official software's author, we can't guarantee safety, availability or download speed. Moreover, we don't and we won't provide any pirated/illegal versions or tools. We recommend you to avoid it as these methods can harm your device. If you like the software, buy it to support the developers. (We provide software discounts for many worldwide brands).